Well that’s a headline you don’t get to write every day, but this story only gets odder when you dive into it. In an effort to combat food waste, Kelloggs has teamed up with a craft brewery to use “rejected” Corn Flakes in beer production. 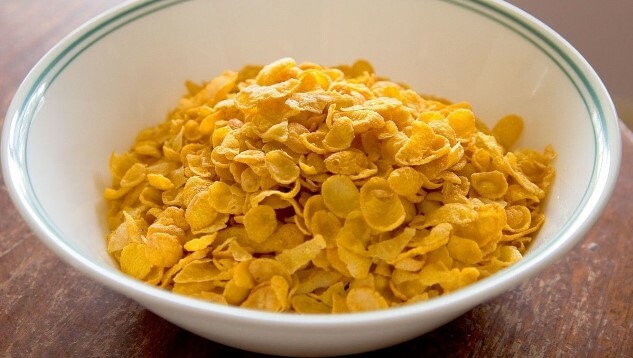 The excess Corn Flakes produced by the UK wing of Kelloggs are being used by Manchester’s Seven Bro7thers Brewery to produce a beer known as “Throw Away IPA,” referring to the fact that the Corn Flakes involved in its production would previously have been discarded. Here, they’re “upcycled,” as the company puts it, re-using Corn Flakes that would otherwise be too big, too small, or improperly cooked to go into your cereal box. Apparently, roughly 30 percent of the mash for Throw Away IPA consists of Corn Flakes, which one would expect to deliver a light body/texture and lightly corny flavor. The brewery also uses quite a bit of wheat in this IPA, which presumably helps to add back in a heavier, smoother texture to balance out the lightness of the Corn Flakes. The final result is reportedly a “Corn Flake golden” IPA, a portion of the proceeds of which are being donated to food distribution charity FareShare in the U.K. It naturally begs the question: Is this being done in the U.S. as well? Kelloggs is based in Battle Creek, MI, a town that also happens to be in the back yard of several larger regional breweries such as Dark Horse and of course Bell’s. If one of them hasn’t already brewed a Corn Flakes beer with Kellogg, this might be the time.